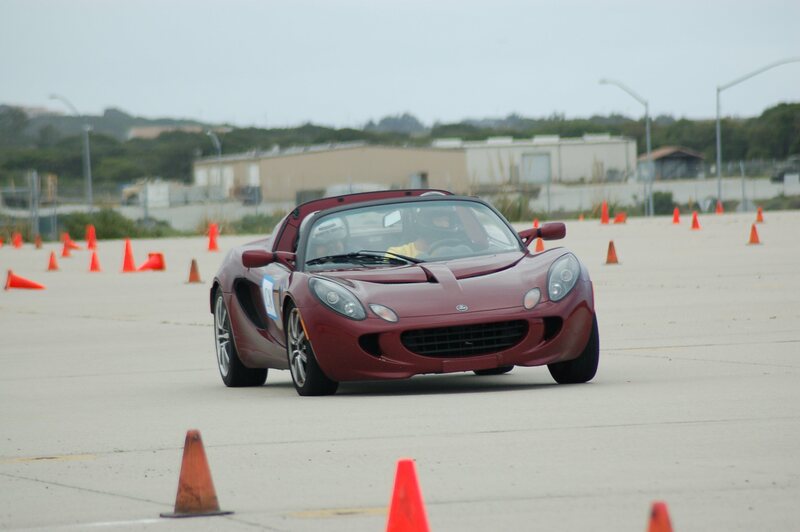 This was the 2nd year that the GGLC has partnered with Club111 and the Lockheed Martin Sports Car Club on the presentation of an Autocross Clinic. Like last year 39 begining and novice autocrossers participated in the event. The drivers were divided into 3 groups of 13. 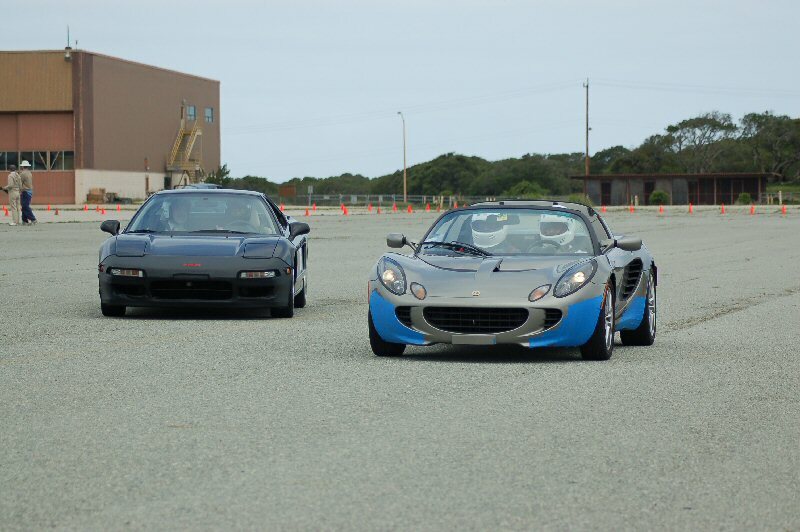 There were 13 seasoned Autocrossers who were matched with one driver in each of the 3 groups. 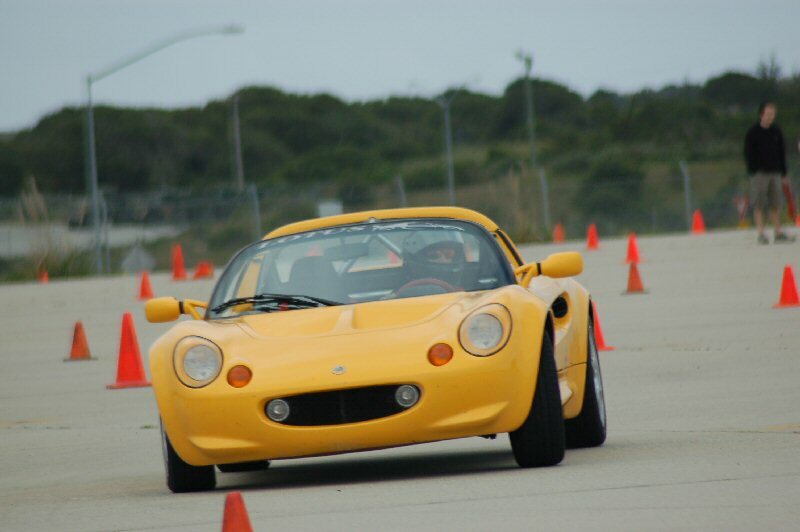 This allowed the drivers to have an instructor with them for every run (if they so desired). HUGE thanks go to Larry Bisares for arranging the day and from Lockheed Martin SCC, Stuart Calhoon for getting the equipment to the site. The morning sessions were untimed. There were 2 smaller courses set up. The East Course focused upon transitions or slaloms. Two types of slaloms were presented to the drivers, a boxed type and a single cone type. Drivers were instructed to keep their cars balanced, stay smooth and stay ahead of the slaloms. 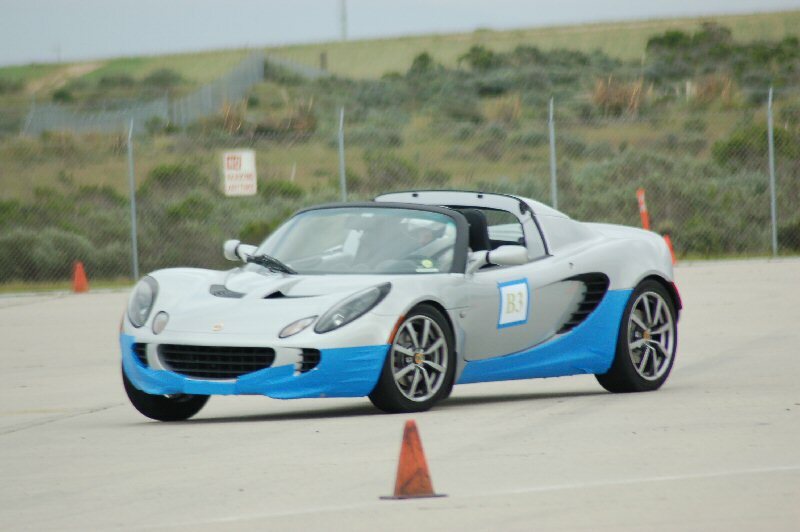 The West Course worked on driving lines for various types of corners and braking/accelerating. 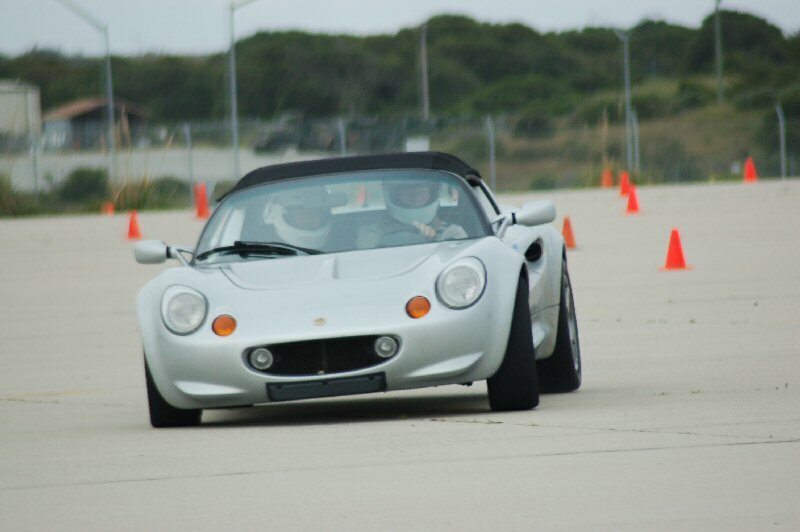 Again the drivers were instructed to stay smooth, use the entire width of the course and brake smoothly. In the afternoon the two courses from the morning were merged into a single large course. First up were the instructors. 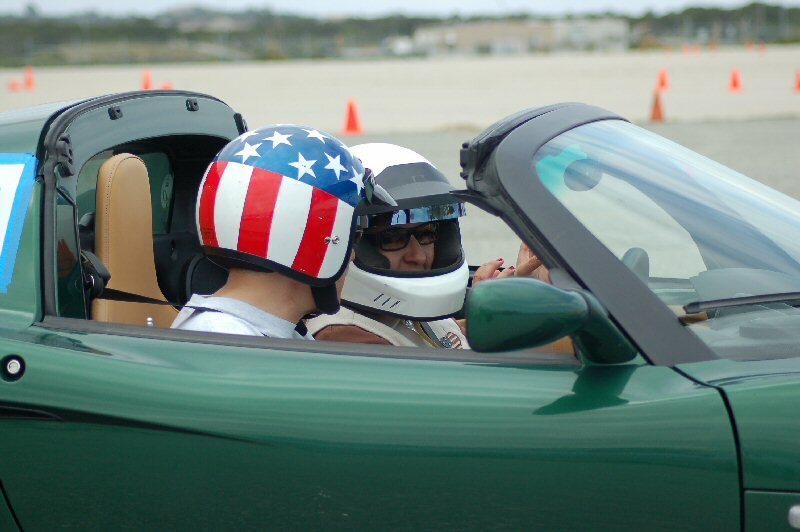 The instructors took students with them and "showed" them the fast way around the twisting course. Then the students got their chance to see what they could do. TTOD went to Noel de L in his Audi A4. 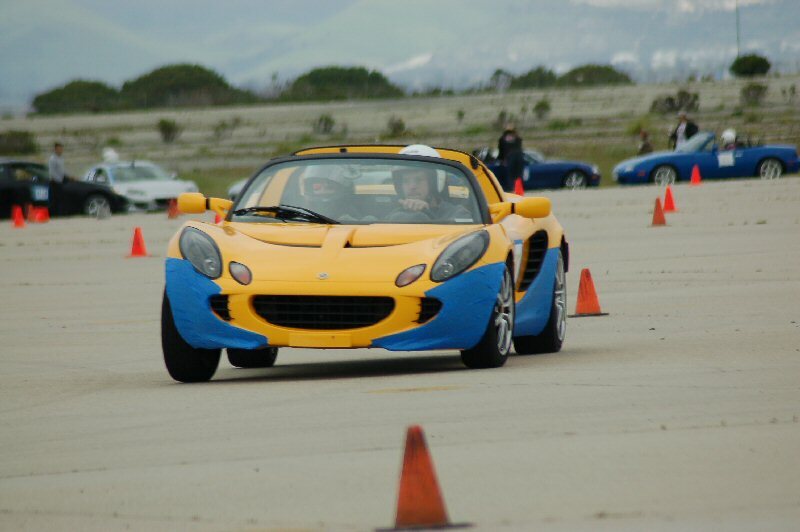 The quickest Lotus went to Jacob T in his 05 Elise.